Police have arrested a suspected member of the “Super Hacker Bulgarian Group” for using cloned ATM cards in San Fernando City. Security guards at a BPI branch in Barangay San Agustin noticed the foreigner inserting numerous ATM cards into a machine on Wednesday (December 3). Sensing that he might be up to no good, they called the police who arrived and arrested the suspect. The man has been identified as Bulgarian Ivaylo Sashov Galapov, based on identification documents he was carrying. Police are now checking his visa status with the Bureau of Immigration. They are also investigating any connection to the so-called ‘super hackers’. This gang has been operating in the Philippines for several years. In July, we reported how Nicaraguan Radu Minodor Sandor, Italian Marcu Bogdan and Romanian Petro Ioan Uveges were caught withdrawing cash from the same machine that Galapov was using this week. A check of our archives revealed that in November 2015 Uveges was arrested for the same scam in Mandaue City. It is unknown how he escaped from custody and avoided deportation. However, when he was arrested in July he was carrying a Hungarian passport in the name of Balazs Varga. Uveges is married to a Filipino woman in Cebu City and has two children. A clue to how he may have escaped jail in 2015 came when the officers who arrested him in June were praised for refusing a 2.6 million peso bribe. As we reported, the 30 officers involved all received a certificate as reward for their honesty. Then, in August, we reported on another Eastern European card skimmer who had previously escaped detention in the Philippines. Bulgarian Konstantin Simeonov Kavrakov was picked up in Zamboanga, but had previously been arrested in April 2015 in Quezon City. Again, it is not known how he escaped imprisonment or deportation. Kavrakov — who once stole thousands of dollars from a bank account belonging to Microsoft founder Bill Gates — has a long history of escaping the law. In 2011, after the heist that earned him the moniker “king of the hackers”, he was imprisoned in Paraguay. Somehow, he managed to escape before making his way to the Philippines. It is believed he has been targeting ATMs in the country ever since and is part of the “Super Hacker Bulgarian Group”. The gang is said to target the Philippines due to its lax security. It is said they particularly favour areas popular with foreigners as it’s easier to blend in. 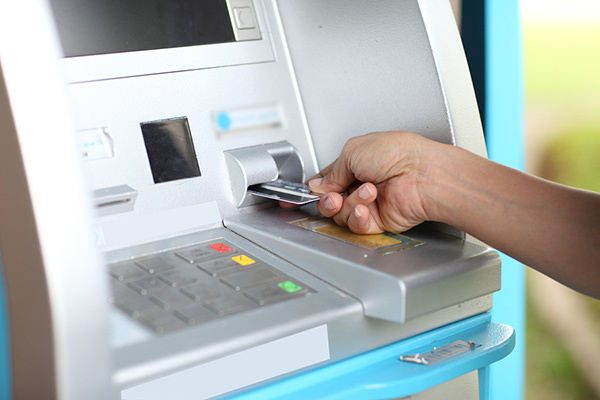 Bank customers are advised to avoid external unguarded ATMs wherever possible.